The Cleveland Museum of Natural History, located in Cleveland's University Circle area, is a treasure trove of more than four million specimens. Exhibits include Dinosaur bones, natural gemstones and fossils, and a huge section on Ohio birds, plant life, insects, and archaeology. A planetarium teaches kids and adults all about the moon, the stars, and the galaxy. The Cleveland Museum of Natural History, opened in 1920, contains two floors of diverse and fascinating exhibits, many of which are interactive exhibits. 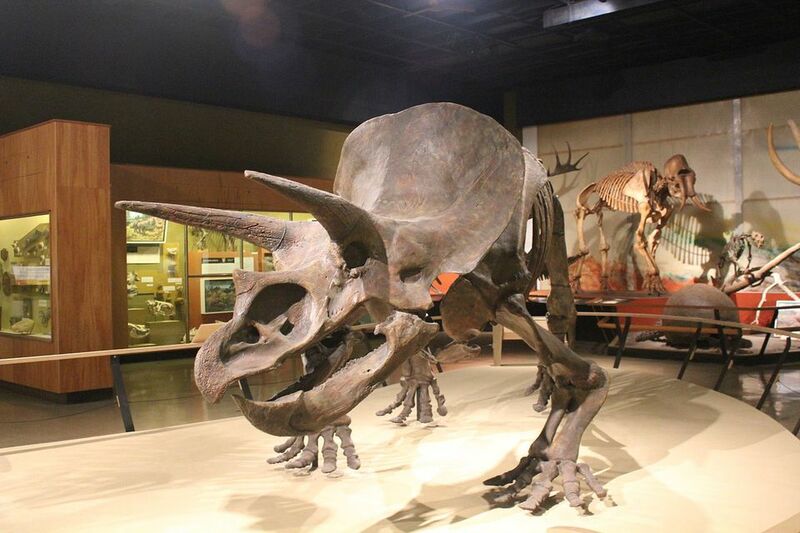 Included are reconstructed dinosaur skeletons, a room full of natural gemstones and prehistoric fossils and Ohio archaeology exhibits, particularly about the Native American tribes who once inhabited Ohio. The lower level is dedicated to Ohio's natural history, with sections on Ohio birds, botany, insects and ecology. The Shafran Planetarium, part of the Cleveland Museum of Natural History, offers several 35-minute shows daily. Topics change periodically, but the show always features a current topic in astronomy as well as a depiction of the Cleveland sky at that time of year. Each show is lead by a museum astronomer and the audience is encouraged to ask questions. During the summer months -- June, July, and August -- the museums around Wade Oval, including the Cleveland Museum of Natural History, offer extended hours and reduced admissions on Wednesday evenings. The museums also offer live music, special exhibits, and children's activities. The museum is located near the Cleveland Museum of Art, the Cleveland Botanical Garden, and the Western Reserve Historical Society on Cleveland's east side. Ample parking is available near the building. The Cleveland Museum of Natural History has a cafe, The Blue Planet, which serves full lunch service and snacks. The museum also has an extensive gift shop, filled with interesting finds. The Intercontinental Hotel, at the Cleveland Clinic, is less than a mile away from the museum and offers elegant accommodations as well as a full range of services. Smaller and more intimate is the Glidden House, just around the corner. It's a charming bed and breakfast inn, created out of a historic mansion. The museum has a small cafe, offering sandwiches, light lunches, and snacks. In addition, the museum is within walking distance of the courtyard cafe at the Cleveland Museum of Art as well as Mi Pueblo, a reasonably-priced Mexican restaurant on Euclid Avenue at 116th Street.